You and your brothers in your wandering band of Orcish raiders have been called many things, like animals, monsters, and beasts. Look like the beast they claim you to be with the Green Orc Beast Mask at your next LARPing event! 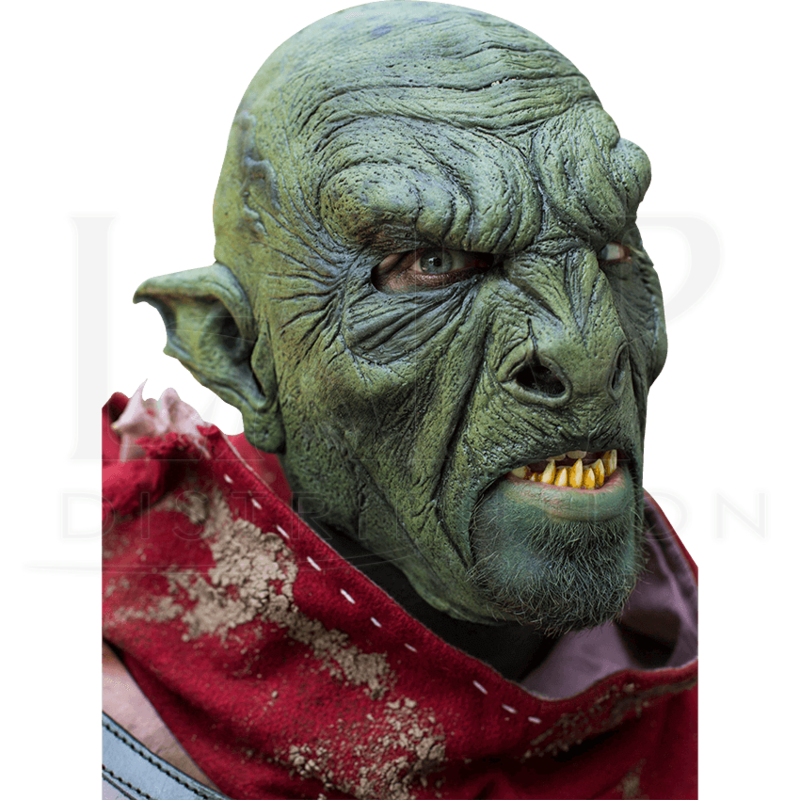 This full face mask is made from 100 percent high-quality latex and bears the appearance of wrinkled green skin. The ears of the mask are jaggedly pointed, the brows are prominent, and the nose is wide and flat. There is no mouthpiece on this mask, which allows you greater expressive capabilities, as well as more speaking clarity. Large veins and scars decorate the bald head of this mask, making it seem like your Orcish character has seen combat before! Look the part in your next LARP combat or LARPing event and wow your friends with this incredible face mask!